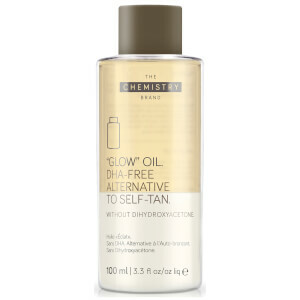 A wonderful multi-tasker, The Chemistry Brand Retin-Oil helps to treat a range of skin complaints, including: scars, stretch marks, cellulite, ageing skin, dehydrated areas, surface irregularities and discolouration. 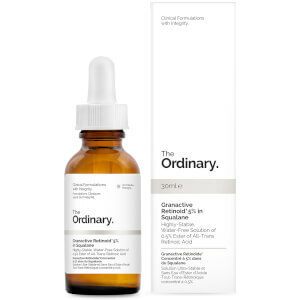 Combining an anti-ageing retinoid with skin-enhancing lipids, this highly-concentrated body oil will nourish and heal your skin to leave it looking more healthy and even-toned. - L.M. Directions for Use: Apply as often as needed to the desired areas of skin. You must apply this after shower on wet skin.than your skin will be sooo fantastic.it works'! I bought it because it was on sale and I am glad I did. 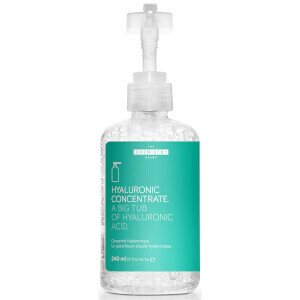 I thought it was intended to use on my hands hence the name HAND Chemistry but once I found out it was meant to use all over it was heaven on earth! The oil smells like fresh spring herbs, the consistency is quite runny but you can pour with control. I applied the product on my legs after shower and my skin drank every drop of it. It truly transformed my skin, it became silky, soft and smelling good. I already used the whole bottle and I will purchase it again and again. Thank you. Bought this instead of the hand cream to try it out on other areas. Think it will last longer than the cream but haven't noticed such a difference as I did when first using the cream. It's not greasy oily and I've been using the cream on top to make my hands feel more moisturised. The Hand Chemistry hand creams had sold out, so purchased as an alternative - it's an extremely effective multi-purpose oil which plumps up and hydrates lines on décolletage as well as for overnight use on hands. Has also helped to fade small scars. Would definitely repurchase. I purchased this Retin Oil as I needed something for the sun damage/lightly wrinkled skin on throat and chest. I have been using this twice a day for a week and have to say the skin texture and definitely softness is improved. I will continue with this product.